Sustainable Development Goal 7 aims to achieve universal access to modern energy services by 2030. A key challenge in meeting this target will be the provision of electricity to remote rural communities, particularly where it is difficult or expensive to extend the electricity grid. Colombia has an electrification rate of 97%, which means that 1.4 million people remain without access to electricity – most of whom live in the Amazon and the departments of Chocó and La Guajira. Located in the northwest of Colombia, Chocó is one of the country’s most underdeveloped regions and faces pressing social, environmental and economic issues. Known for its Afro-Colombian culture, the region is densely forested, rich in deposits of gold and platinum, and highly biodiverse. With both Caribbean and Pacific Coasts, it is also one of the wettest places on the planet and has an average rainfall of between 8,000 – 13,000 mm per year. The Centre for Research on Renewable Energy at the Technological University of Chocó (UTCH) focuses on demonstrating how small-scale renewable energy technologies can work in rural communities in the Chocó. Together with colleagues at the UCL Energy Institute, Dr Gabrial Anandarajah and Pablo Carvajal, I have been working with the Technological University of Chocó (UTCH), Imperial College London, the University of Jorge Tadeo, and the National University in Medellín to strengthen institutional links between UK and Colombian universities. The project runs from May 2016 to April 2018, and is funded by the British Council through the Newton Fund. 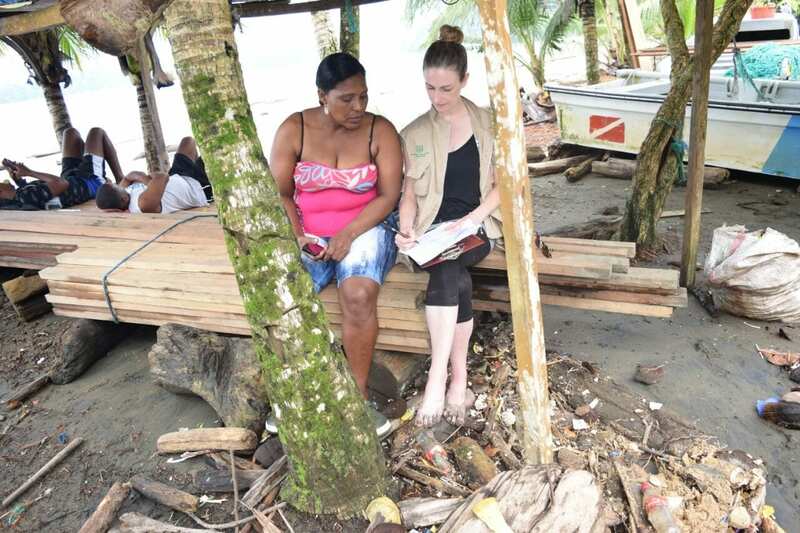 Between October and November, I worked with the team at UTCH to develop a methodology to assess the energy needs of rural fishing communities in the municipality of Bahía Solano, Chocó. 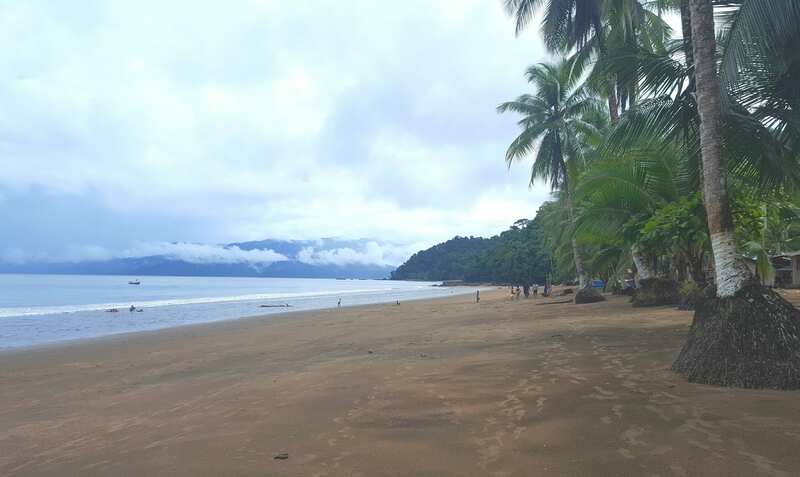 Located on Chocó’s Pacific coast, Bahía Solano is only accessible by plane or by boat; there are no roads that connect the municipality to the rest of the department. Its relative isolation means that the municipality is not connected to the national grid. Instead, electricity is supplied by a hydroelectric plant with an installed capacity of 1,875 kW. In October 2016, Bahía Solano was devastated by heavy rains, which had led to flooding in many areas and had damages to the plant. As a result, electricity is currently being supplied by a diesel generator and the repairs to the hydroelectric plant are expected to take around six months. Bahía Solano is comprised of the municipal capital, Ciudad Mutis, and a number of smaller communities which are dotted along the coastline. While Ciudad Mutis has full and reliable electricity supply, those located further away experience only intermittent supply or have no electricity access at all. This is perhaps not surprising as these communities are located along remote beaches accessible only by boat or through dense cloud forest, and transmission lines are regularly brought down by falling trees and adverse weather conditions. Together with colleagues at the UTCH – Maycol Mena, Yenny Toro, Hector Agudelo and Yemilson Espidio – we carried out questionnaires and interviews in four communities in Bahía Solano, as well as a number of interviews with expert stakeholders. The questionnaires aimed to understand community energy and other needs, in order to establish a baseline and to identify energy priorities. One of these communities was Playa Potes, an unelectrified coastal fishing community, comprised of around 30 households, where UTCH has installed a hybrid solar-wind system (2kW/ 7.5kW) in the local primary school. Although the system has only been in operation since June 2016, it has already affected the community positively. Benefits to the school include lighting and the children are for the first time able to charge and use the laptops that had been donated by the Colombian government. Other members of the community have also benefited: previously, they had to take their mobile phones to be charged in Ciudad Mutis – a costly 30-minute boat ride away – while now they can take advantage of the constant supply of electricity to the school; similarly, the community now has access to the internet; and several small businesses have sprung up, including a barber shop. However, perhaps one of the most important impacts has been the trust it has created between the community and UTCH. All too often these communities have been promised things which never materialised. This stands the project in good stead as it develops demonstration projects in other communities in Bahía Solano, and elsewhere in Chocó. Over the next few months, we will be analysing the qualitative and quantitative data gathered in order to build a better understanding of the communities in Bahía Solano, particularly their energy and other needs. This will feed into the development of models of energy system design, and the work of UTCH, as they seek to deliver small-scale renewable energy systems that meet the needs of local communities. For me, however, one of the key messages from the fieldwork is that the provision of electricity alone to these communities will not be sufficient to address their complex and multifaceted needs. Such needs include: water and sanitation (although the communities have access to water via a municipal aqueduct, it is untreated and there is no sewage system); education; communication; health; and income generating activities. This latter point is particularly important as while the provision of electricity is desirable, households will also need improved incomes to sustain their access to improved energy services. For this reason, UTCH is focusing on renewable energy systems that target community and productive energy uses, such as cold storage for fish and electricity to schools. Finally, if electricity is to provide the multiple development benefits on offer it should be delivered as part of a bigger programme that builds community capacity and buy-in. Without such buy-in, the risk remains that any initiative to deliver electricity to remote rural communities – such as those in Bahía Solano – will fail once the funding runs out. For now, however, this research represents an important step towards ensuring that the people of Bahía Solano are placed at the centre of efforts to provide access to electricity.